At this site in 1898, Omaha hosted the Trans-Mississippi and International Exposition. Following the model of other "world's fairs," the exposition highlighted the "Progress of the West," drawing over 2.5 million admissions. The exposition grounds encompassed an area from Ames to Binney, and 13th to 24th Streets. The Grand Court, from 16th to 24th Streets between Pinkney and Pratt, featured magnificent, though temporary, buildings around a five-block-long lagoon. The exhibition indulged Victorian curiosity about world cultures and featured the latest arts and sciences. Exotic midway displays, such as the "Streets of All Nations," were complemented by a giant seesaw, wild animals, and an encampment of Native Americans performing mock battles and traditional dances. Many exhibits focused on the wonders of modern technology such as incubators, X-rays, and incandescent lighting. "Peace Jubilee Week" in October celebrated the end of the Spanish-American War with a visit from President William McKinley. The war's aftermath, including the acquisition of America's first colony, the Philippines, was highlighted in 1899 during the Greater America Exposition, held on the remodeled Trans-Mississippi grounds. All of the buildings were later removed. 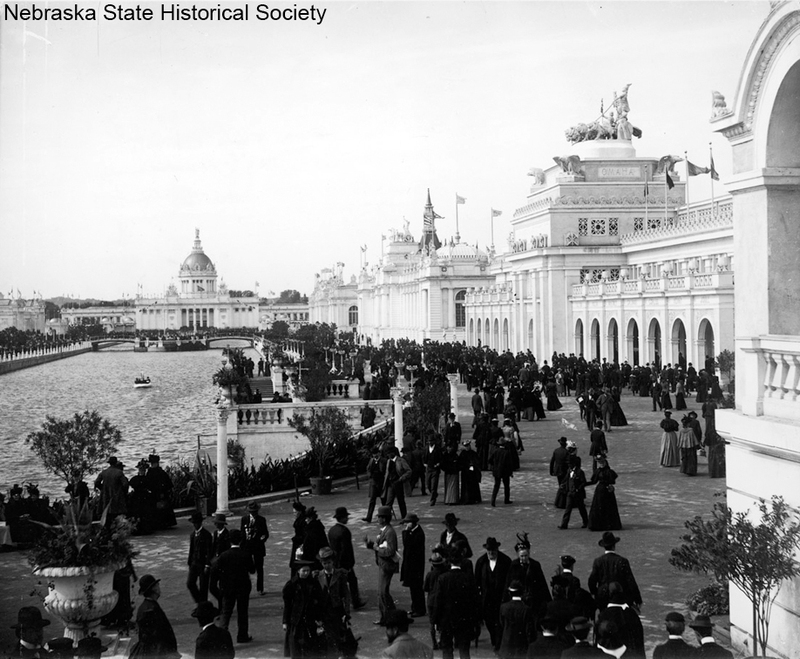 “Trans-Mississippi and International Exposition,” Explore Nebraska History, accessed April 19, 2019, https://mynehistory.com/items/show/193.